Rob Bohane insisted on coming to his favourite swimming spot to present Jim Shalloo’s prize from the Beginish Swim. The presentation duly took place at 06.15 on Tuesday. 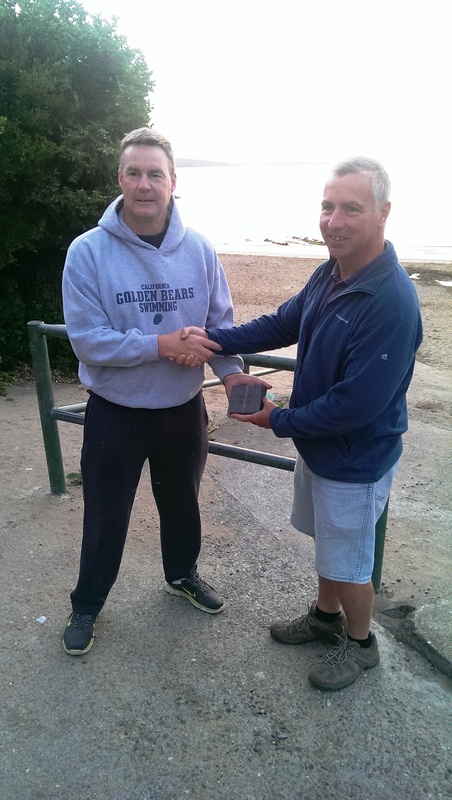 Rob Bohane presents Jim Shalloo with his prize from the Beginish swim – in Myrtleville, of course. Where else? This entry was posted in Events and tagged Open water swimming events, Open water swimming races, Sea swimming events, Sea swimming races by myrtlevilleswimmers. Bookmark the permalink.